← Stats Tip #3: Bonferroni? No Thanks, I Don’t Like Pasta! 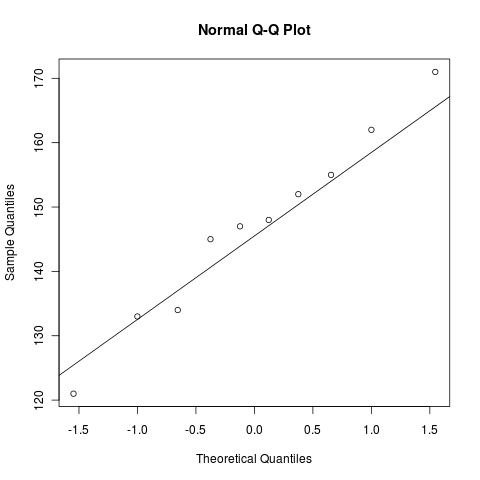 The t-test is called a parametric test, since it assumes that the data in question follows a specific, known, distribution under the null hypothesis (perhaps with unknown distribution parameters), in this case the normal distribution. Unfortunately, there is rarely if ever a good theoretical reason for that assumption. Usually nothing is known about the experimental error and its distribution, let alone about the true population values. The rank-sum test is called an unparametric test, since it makes no assumption about the distribution of the data. Generally, unparametric tests make fewer assumptions than parametric tests. Now it is true that if you know the distribution of your data, then parametric tests will give you closer bounds and better estimates, but if the assumptions turn out not to be true, the results can be misleading or wrong. And as I have remarked above, it is rare to know the distribution of your data from theoretical reasons. As David Colquhoun has remarked in his excellent statistics textbook (which, by the way, is available for download and which is so full of good common sense that I have yet to see a better one), statistical tests exist to prevent you from making a fool of yourself. And the fewer assumptions you make, the less chance there is of fooling yourself and your readers. Hence I recommend that when in doubt, use unparametric tests. The nature of things will make it so that you almost always will be in doubt. Of course, as Colquhoun also observes, “if you the distribution is known (not assumed but known), then use the appropriate parametric test”. If the distribution is not known, then sometimes, with small samples, a real effect might not give a statistically significant result, but that merely means that “it is a disadvantage not to know the distribution” and that this “does not constitute a disadvantage of nonparametric tests”. If you look at the table closely, you will see that I have cheated. I have simply subtracted 8 from the control group’s values. This means that because of the way the datasets are constructed, there is a real difference in means. Let’s see if the test finds it. Holy smoke! Even with all these nice assumptions we only get a p-value of 24%! The small data set and the large variation within that data set have completely masked the small but real reduction! Let’s see the Wilcoxon rank-sum test then. Why does R call the Wilcoxon test wilcox.test and not wilcoxon.test? No idea. Anyway, the unparametric test, with no assumptions at all about the underlying distribution, comes to essentially the same conclusion as the t-test, which makes quite strong assumptions.